K-pop boy band g.o.d (groove overdose) will hold an “encore concert” at Seoul Olympic Stadium on Oct. 25. The veteran idol group appeared on an episode of KBS2’s “You Hee-yeol’s Sketchbook” that aired on Tuesday. “You Hee-yeol’s Sketchbook” is a K-pop music TV program that is both a talk show and live music show. They performed many of their hit songs including tracks from their newest album, “Chapter 8,” on the show. “We’re going to hold the encore concert on Oct. 25. The location will be Seoul Olympic Stadium. We want your help,” the group said between songs. They appeared to be asking for their fans’ help due to the enormous size of the stadium. They were also expressing concern for the fans who were unable to buy tickets for the “g.o.d 15th Anniversary Reunion Concert” in July. 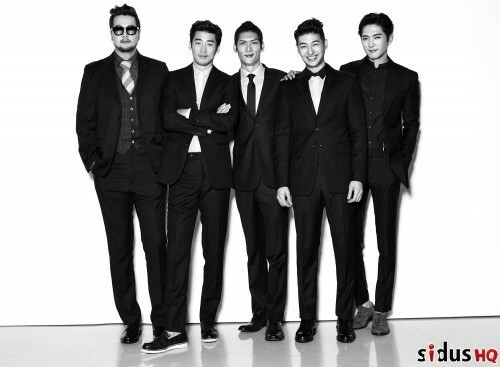 g.o.d’s reunion comes after a nine-year break, with Yoon Kye-sang rejoining the group for the first time in 12 years. They recently completed a nationwide tour, visiting four major cities.